Timbers Lodge is at the bottom of this ski run (left side just above the gondola so guests can ski in and out). 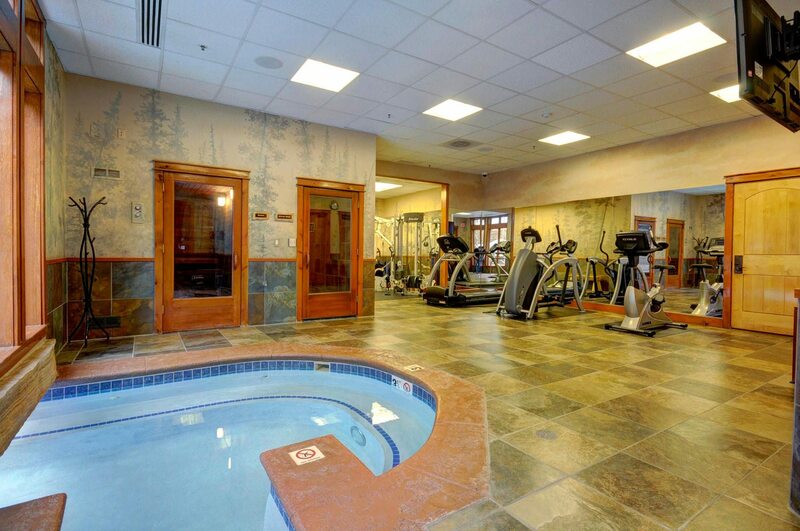 Building lobby (same floor as Unit 3059). 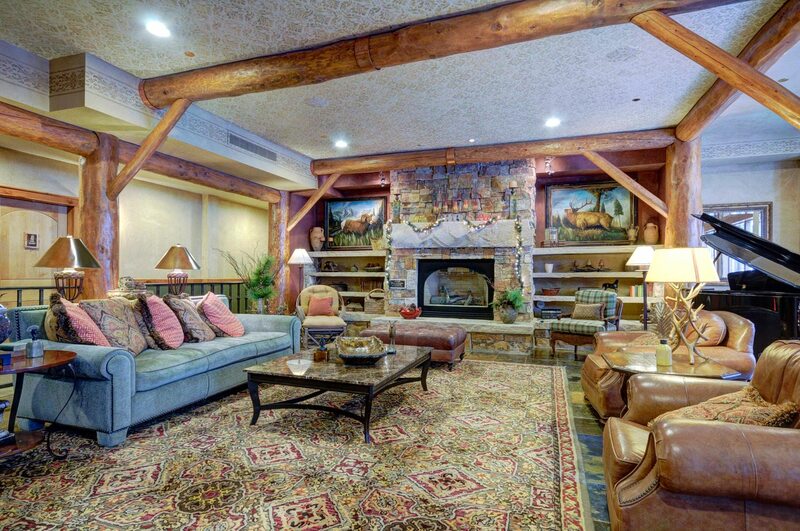 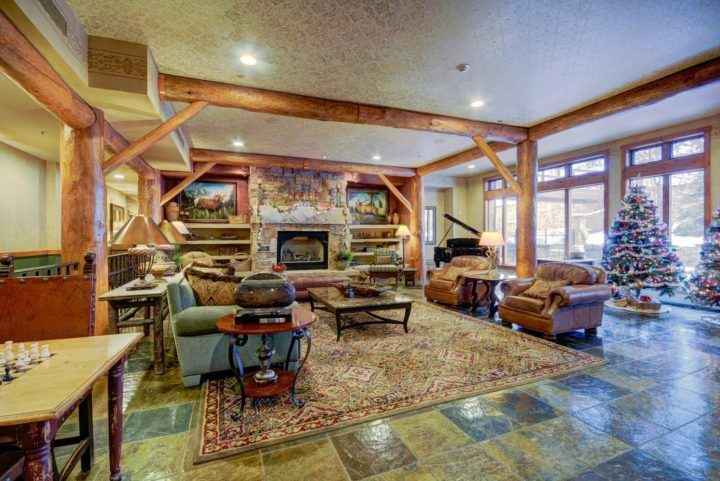 Stone fireplace, lounge area, grand piano, board games, etc. 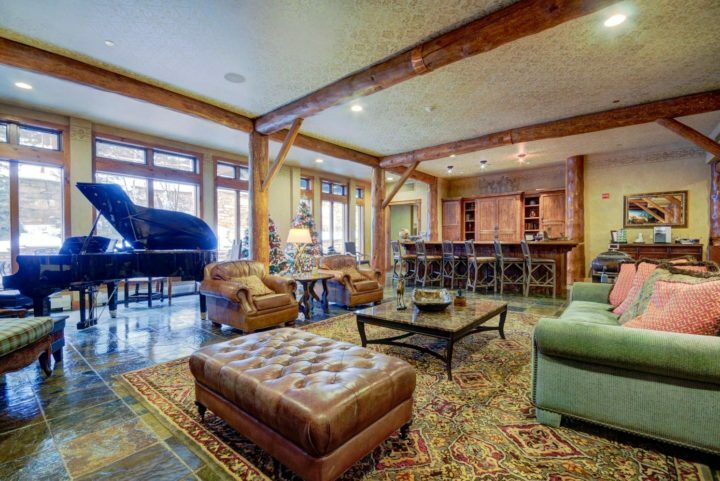 Fold out sofa in living room. 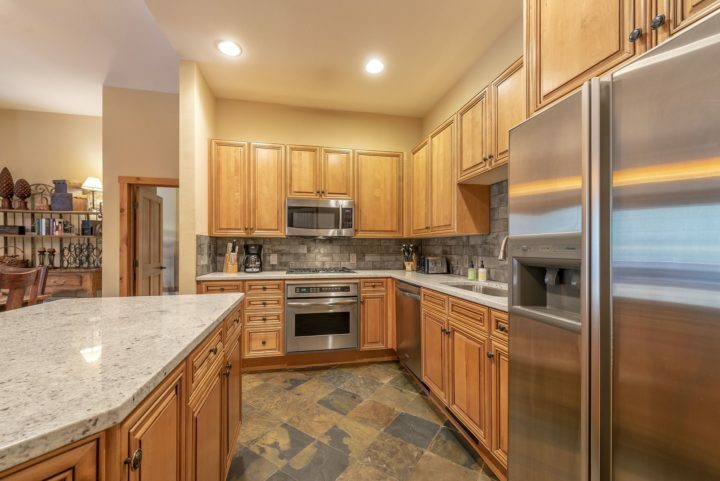 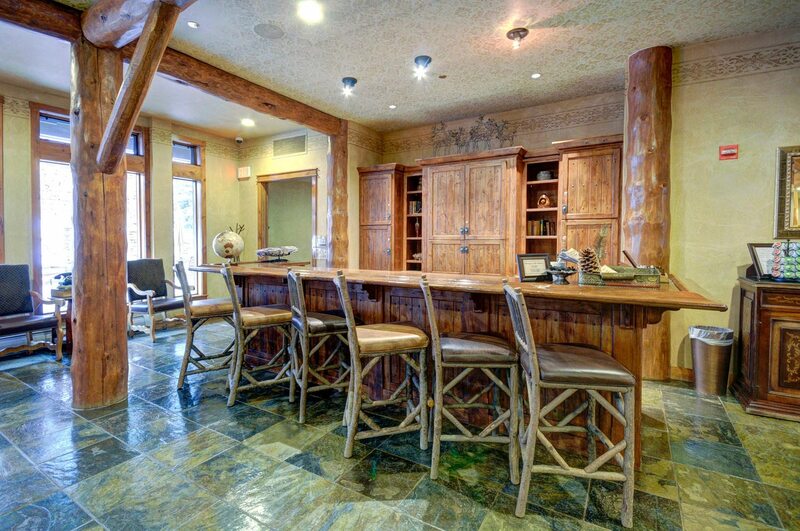 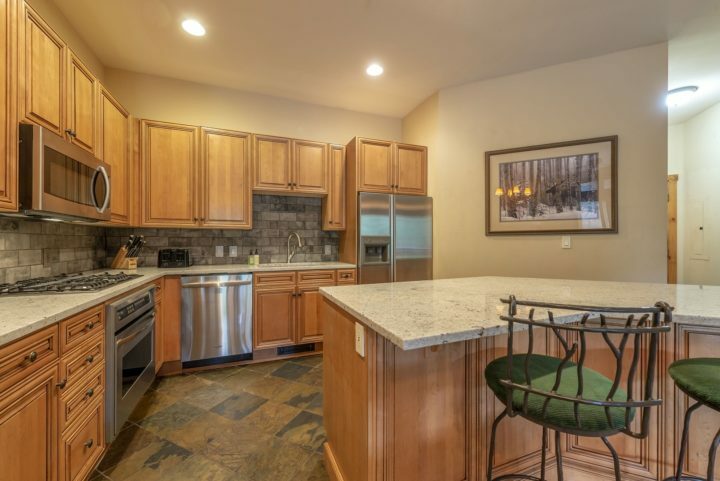 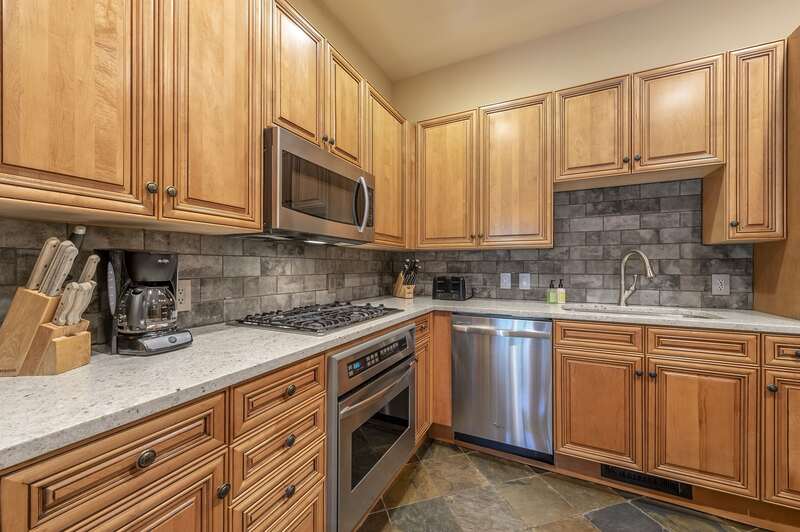 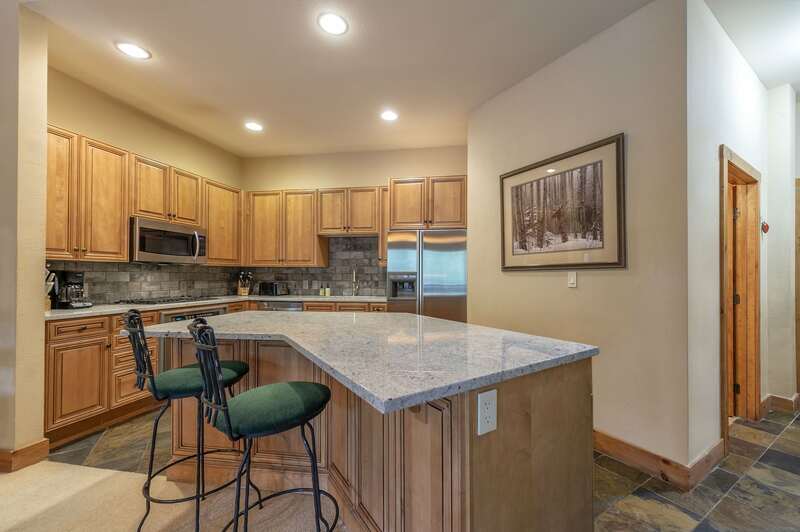 Large kitchen area with stainless steel appliances and eating bar. 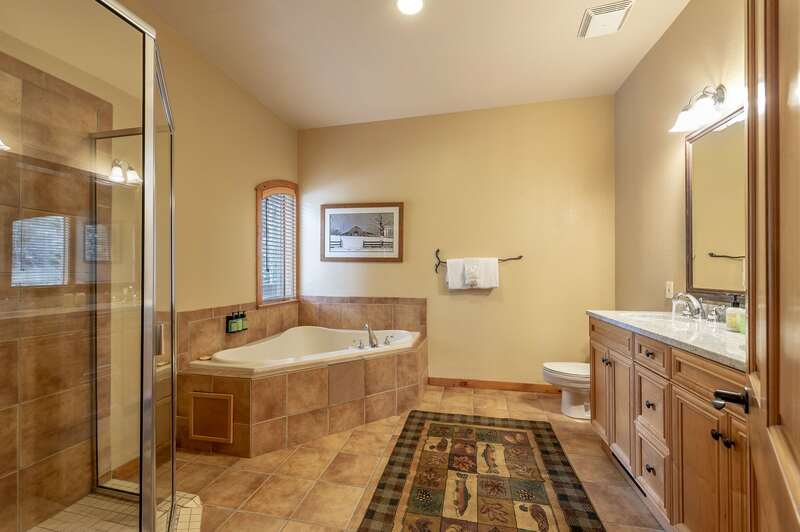 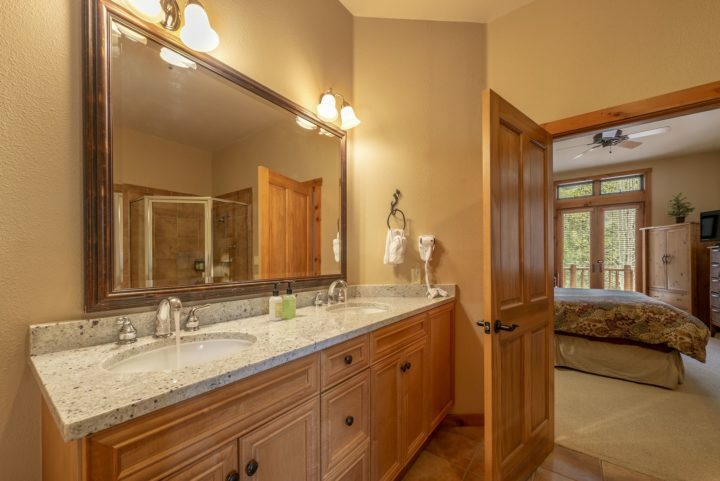 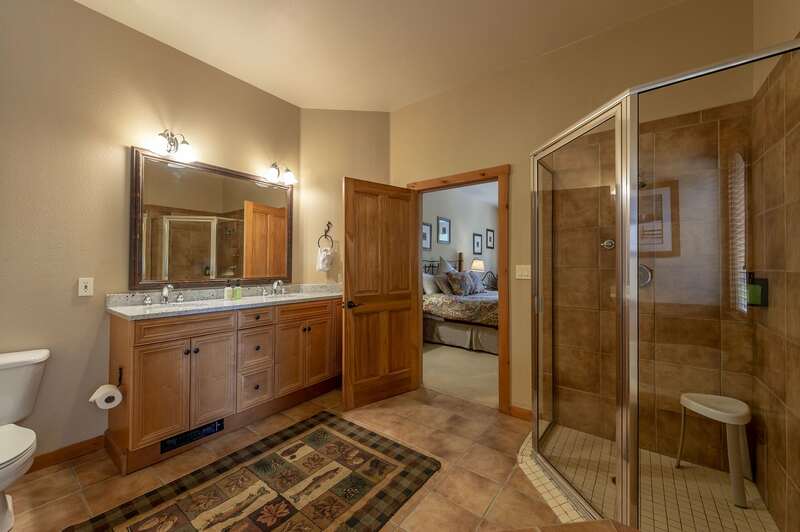 Bath 3 (with sink, toilet, and shower-- serves anyone sleeping in living room). 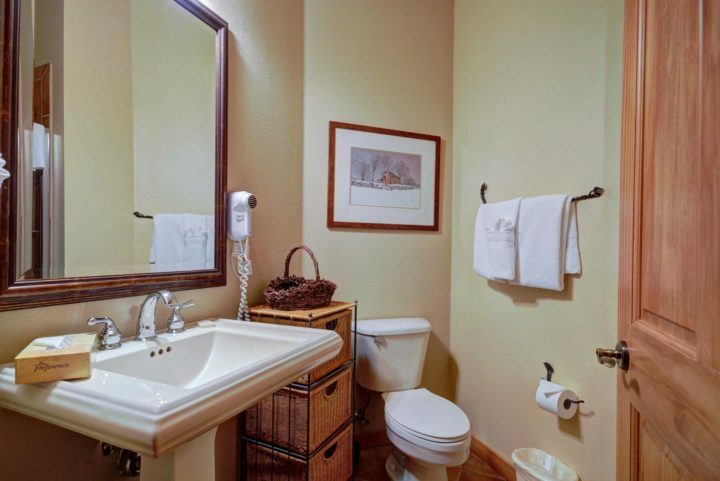 The unit's washer/dryer is in a hall laundry closet next to this bathroom. 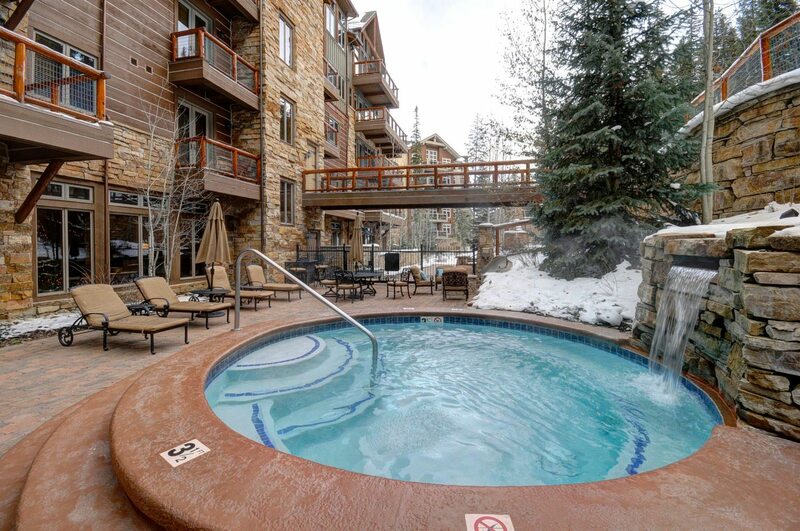 Access to heated outdoor pool. 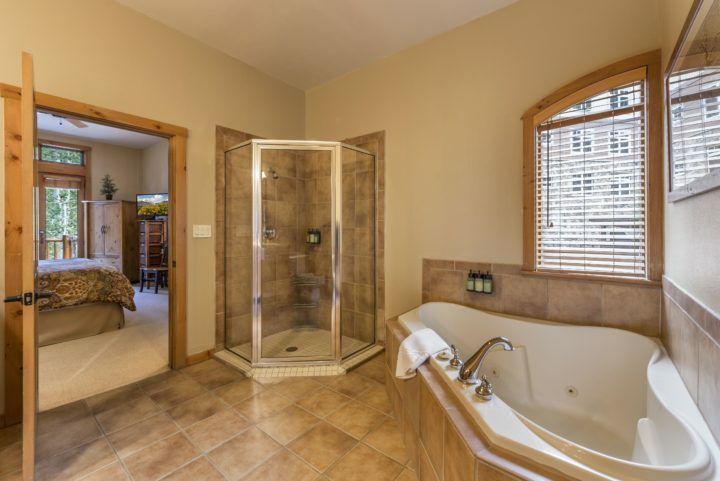 Steam sauna. Exercise area with workout equipment and flat screen TV. Outdoor hot tub with waterfall feature. 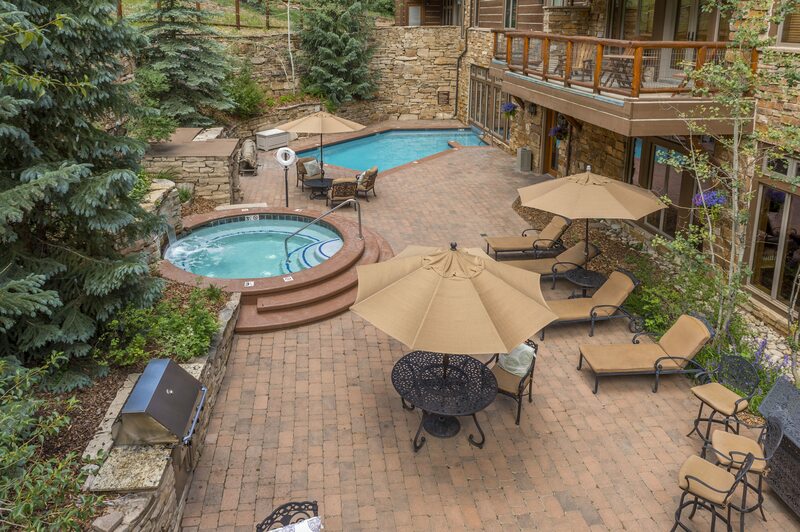 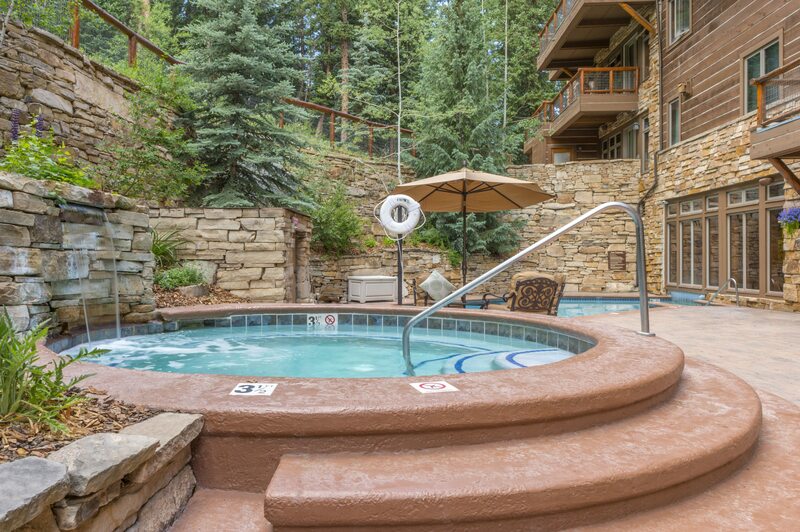 Heated outdoor pool and hot tub area. Family BBQ area at bottom. 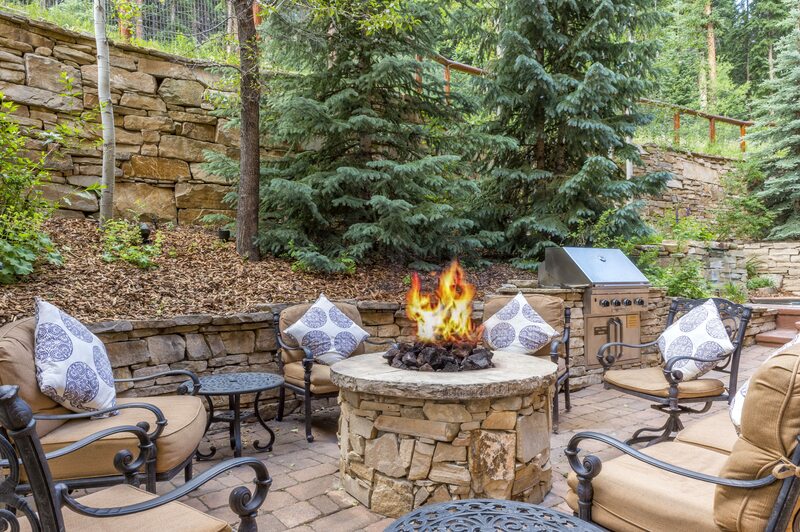 Firepit area near the outdoor hot tub. Secluded ski run comes right by The Timbers. 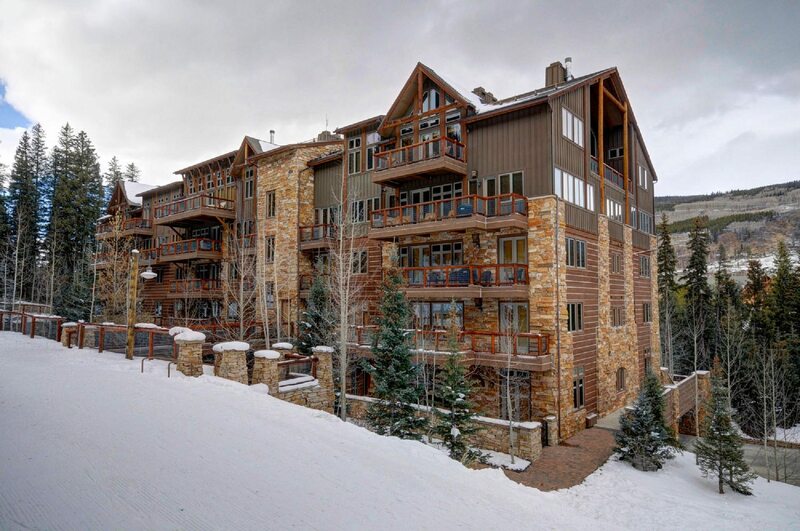 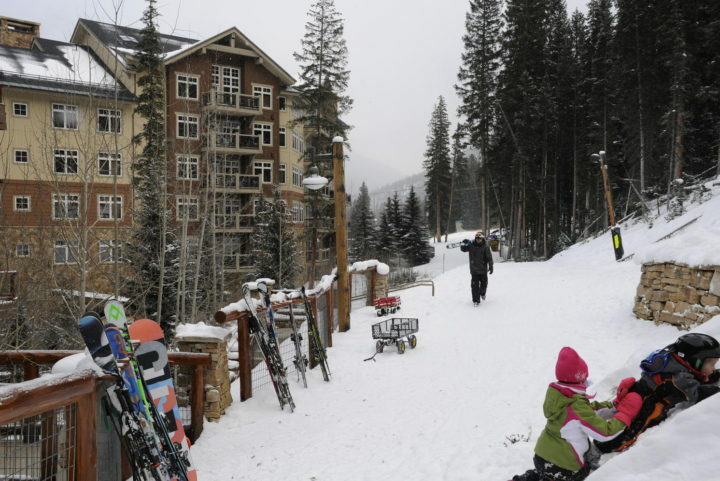 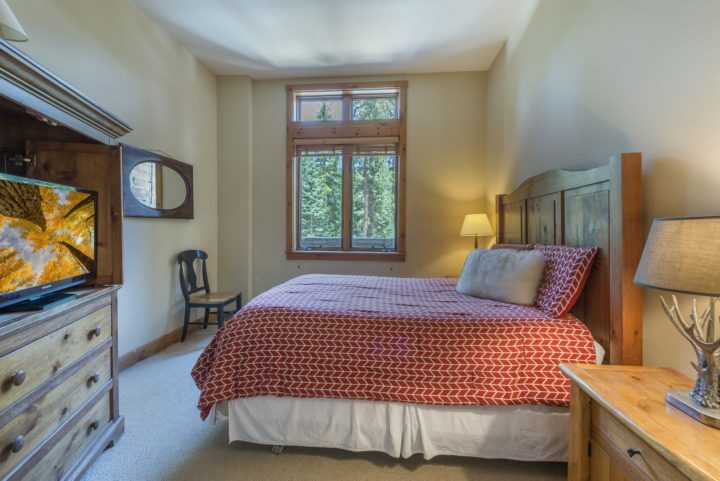 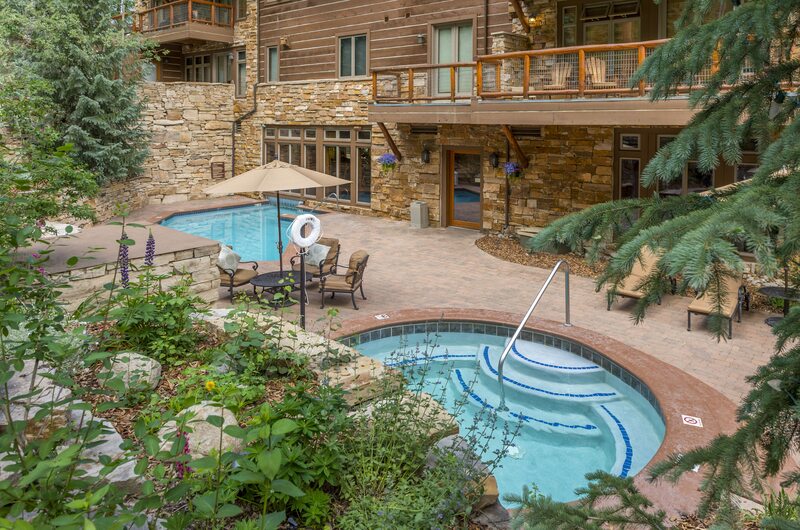 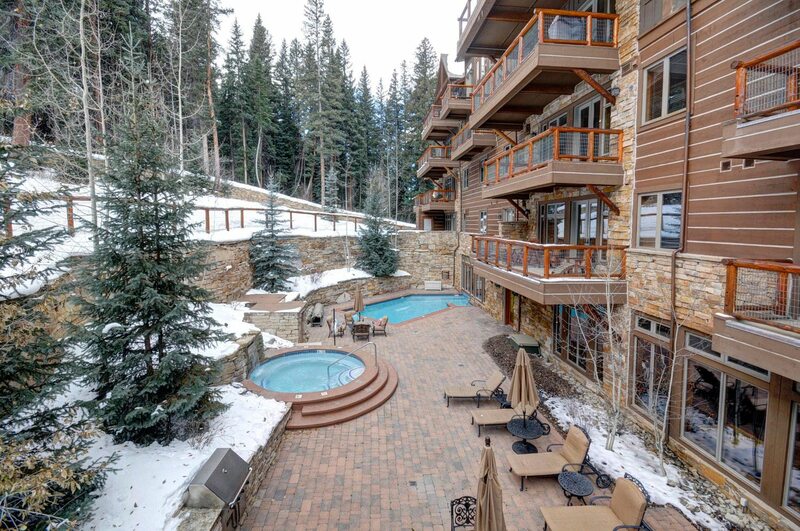 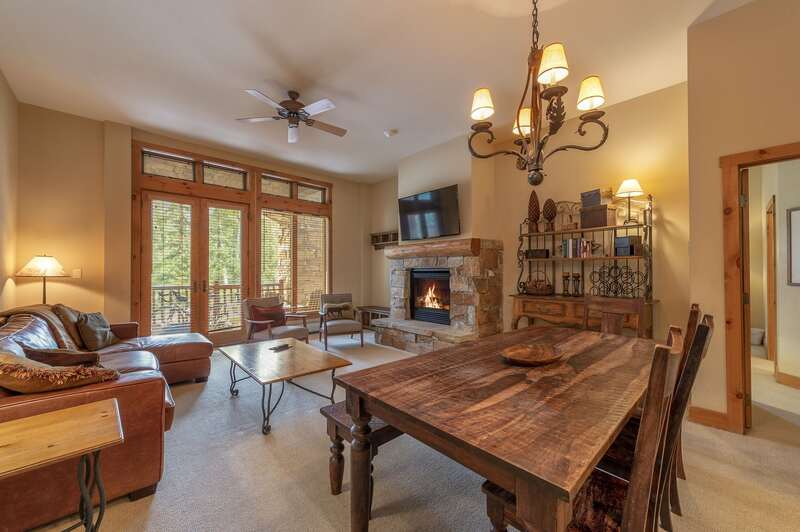 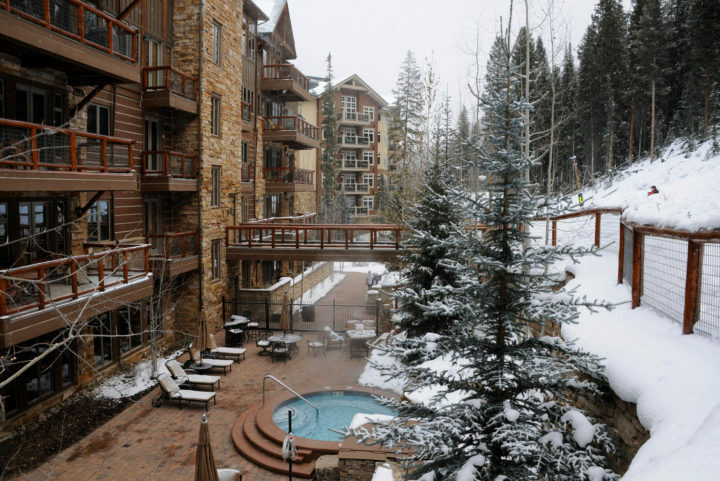 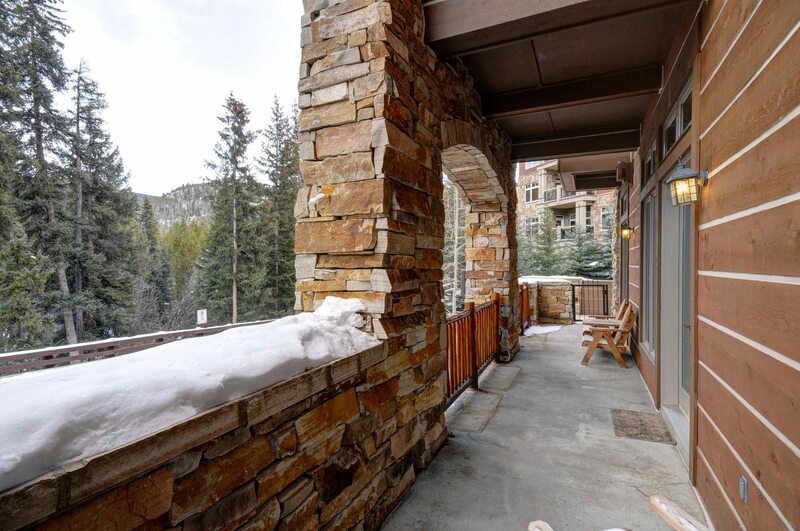 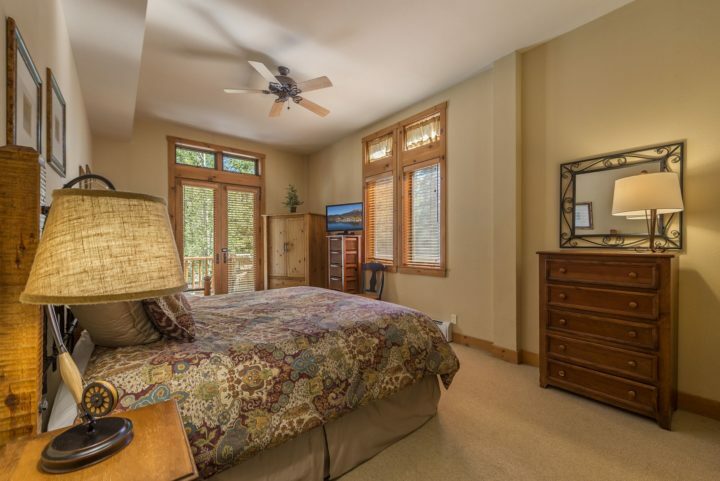 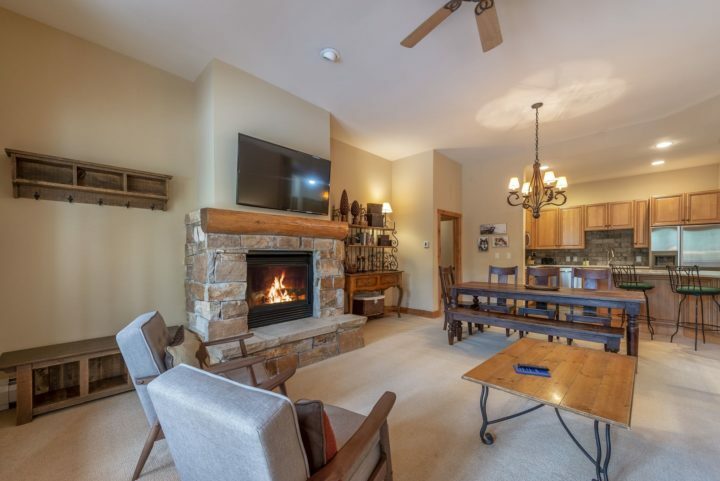 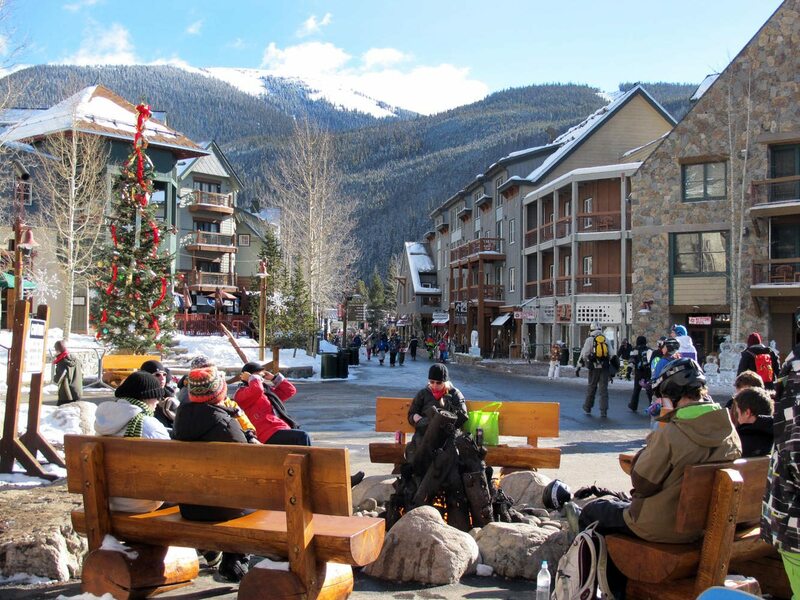 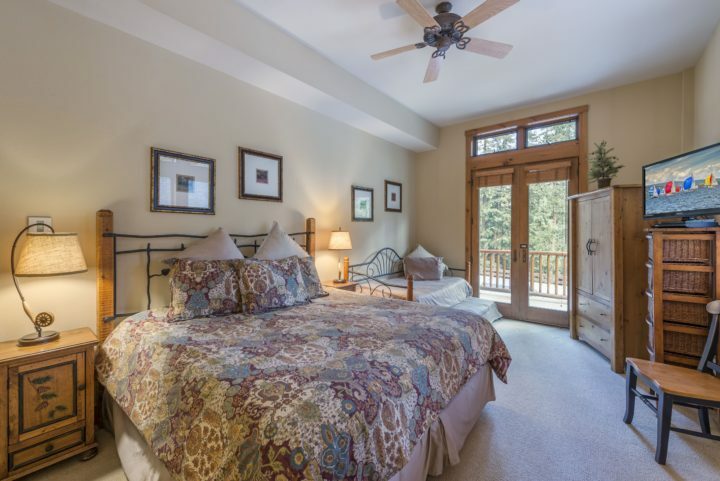 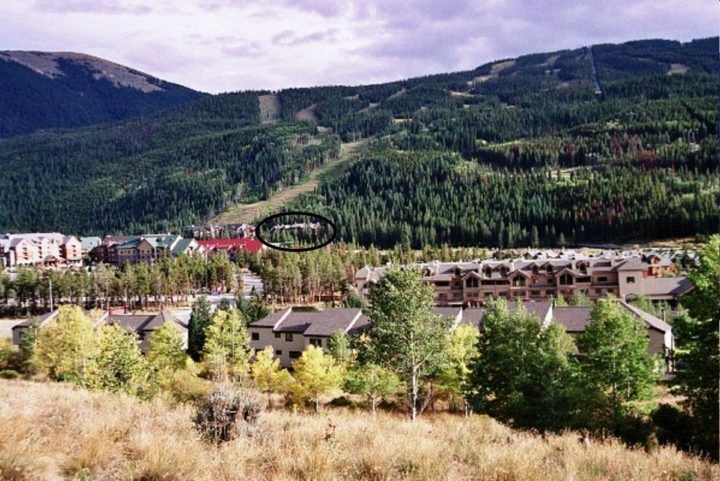 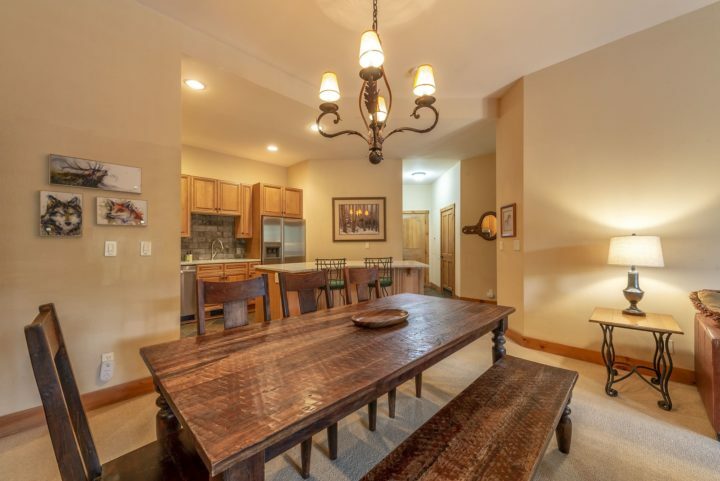 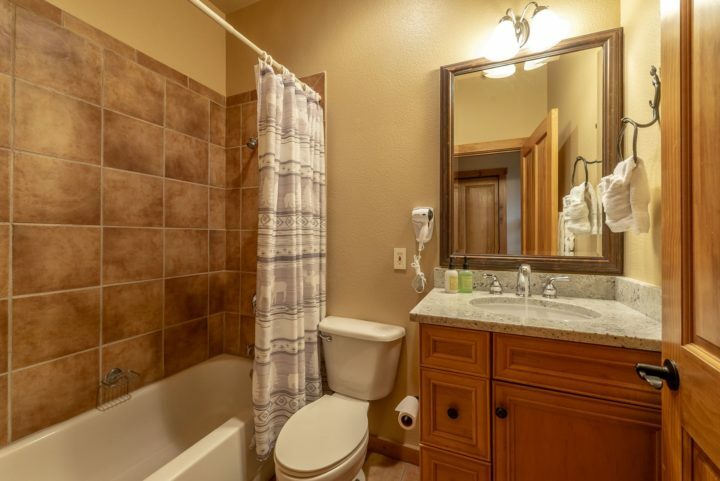 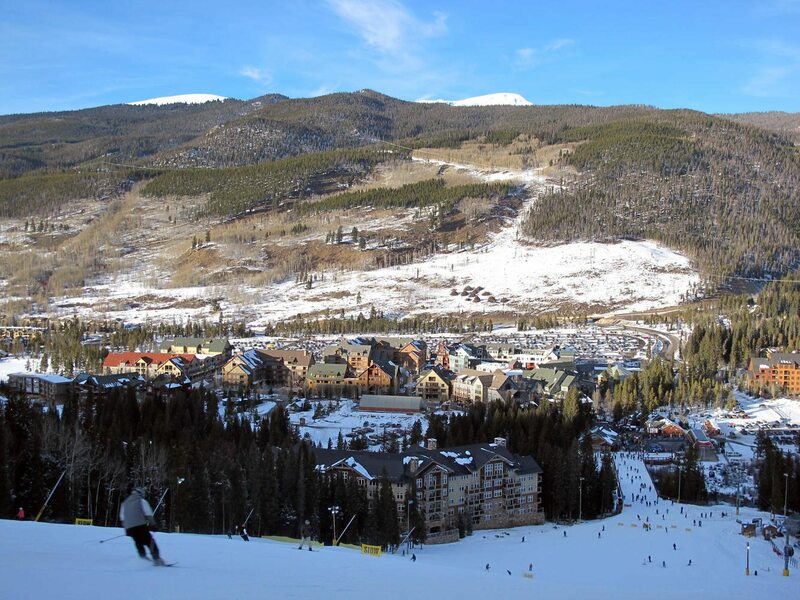 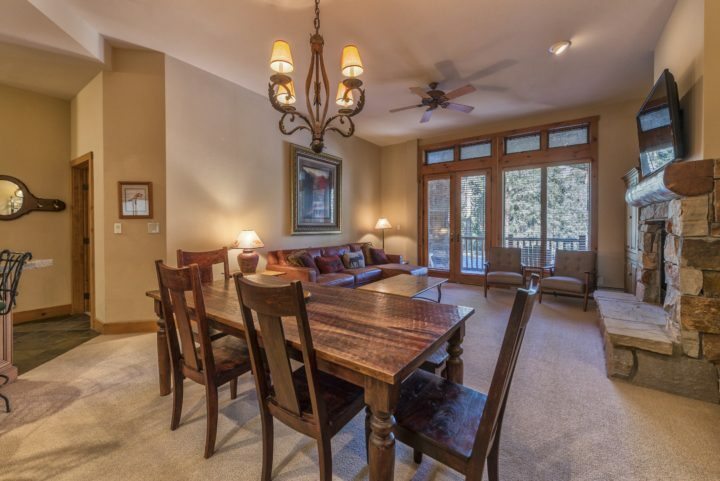 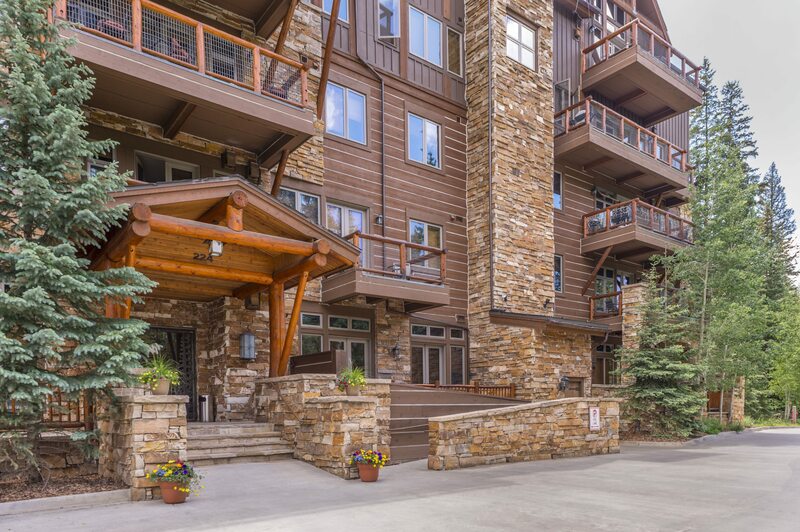 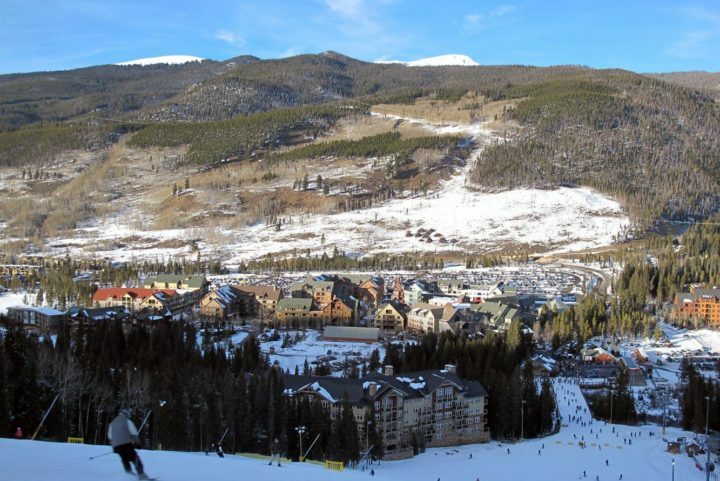 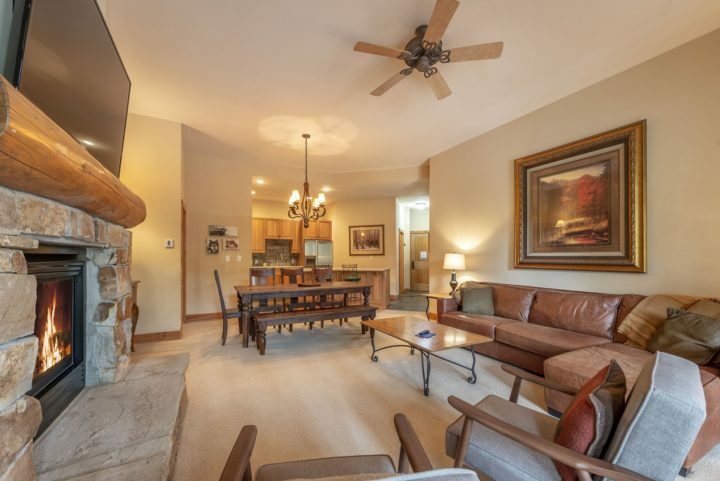 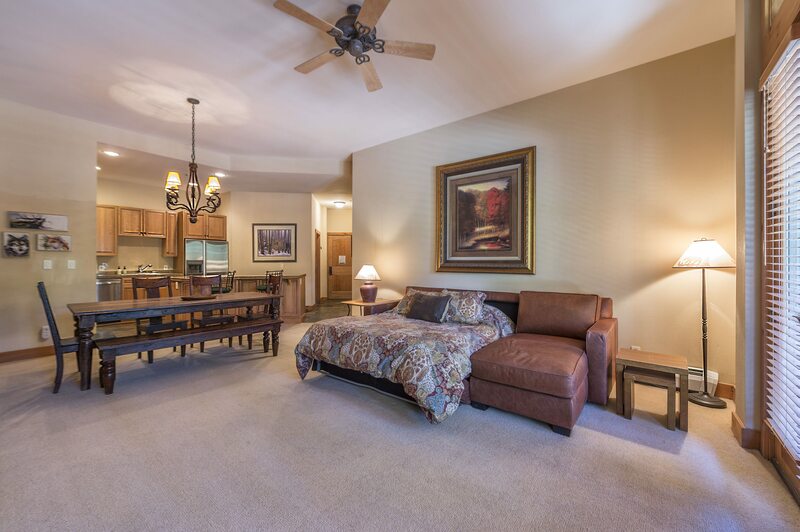 Ski down to this 1st floor condo. The unit also has two 6′ long portable twin futons (can be put in any room; extra bedding provided for fold out and futons).